The youngest daughter of a proud Celtic king, Fallon has always lived in the shadow of her older sister Sorcha’s legendary reputation as a warrior. But when Fallon was a young child, the armies of Julius Caesar invaded the island of Britain and her beloved sister was killed in battle. On the eve of her seventeenth birthday, Fallon is excited to follow in Sorcha’s footsteps and earn her rightful place in her father’s royal war band. But she never gets the chance. 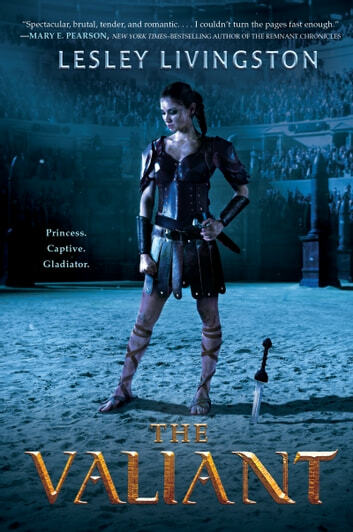 Instead, Fallon is captured by a group of ruthless brigands that sells her to an exclusive training school for female gladiators—and its most influential patron is none other than Julius Caesar himself. In a cruel twist of fate, Fallon’s worst enemy, the man who destroyed her family, might be her only hope of survival. 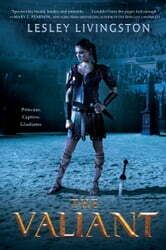 Now, Fallon must overcome vicious rivalries, chilling threats and the dangerous attention of Caesar himself to survive the deadly fights that take place both in and out of the arena—and to claim her place in history among the Valiant.